Yesterday a friend asked me to do some research on finding some good flat black boots for everyday wear, but ones that would be appropriate for work as well. First I suggested my favorite pair, but then realized the leather + stretch fabric combo may not be the most professional look for the job. 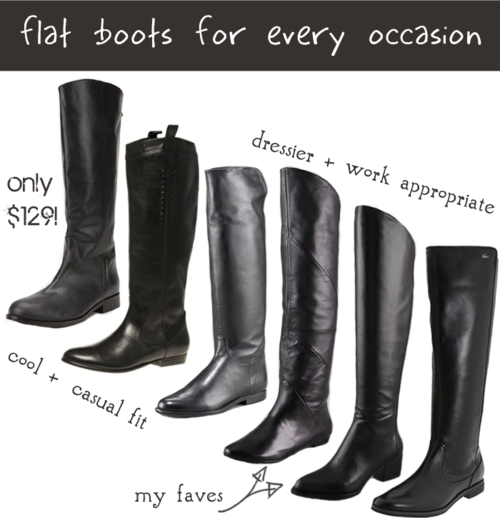 Here are my other finds for sophisticated, flat boots as well as a couple other casual pairs for daily wear and tear. Which is your favorite?